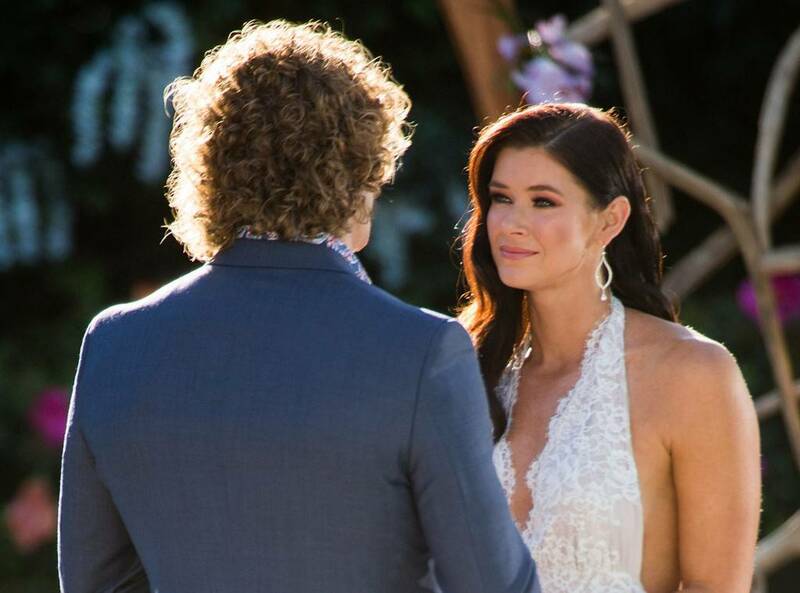 When Brittany Hockley saw Nick Cummins at The Bachelor Australia final rose ceremony, she had “zero idea” what would happen next. The Honey Badger dropped the bombshell that he was not ready to commit to either the radiographer or Sophie Tieman—and ended the series a single man. The Port Macquarie-local would have left season 6 early if she’d known Nick would pick no one in New Caledonia. And Brittany says she doesn’t buy into the theory that Nick’s heart was still set on Brooke Blurton, who decided to leave before the second-to-last rose ceremony. The 30-year-old has received no further explanation from the former Wallabies player about his shock decision—although her brother did receive a message about it. “Nick reached out very early on after the wrap. He just wanted to check in with a few of the girls to make sure they’re OK. Unfortunately for me, for whatever reason, he didn’t feel like he could contact me directly,” she says. “I don’t know if he thought it was too raw, or if I was angry or upset. The other girls got a phone call, and I got a text message through my brother. Brittany doesn’t have any “bad feelings” for Nick, but wouldn’t consider dating the athlete if he asked for a second chance. But we’re yet to find out how Nick truly feels. The bachelor avoided post-show interviews with media—expect for a chat with Lisa Wilkinson to air on The Sunday Project—and instead flew to Papua New Guinea to hike the Kokoda Track. Moving forward, Brittany is open to the idea of being the 2019 Bachelorette following Ali Oetjen‘s run, although she’ll need some time to heal first.